Battersea Power Station is now linked to the Thames River Bus after the service was extended to include the development. The new River Bus service launched at Battersea Power Station on 1st November, meaning that River Bus users can now travel from Battersea Power Station to the City in 20 minutes and to Canary Wharf in 40 minutes. The service, run by MBNA Thames Clippers, will also mean that Battersea Power Station will only be 15 minutes from Embankment and the West End. This is good news for workers and residents of the area, and for visitors to Circus West Village. 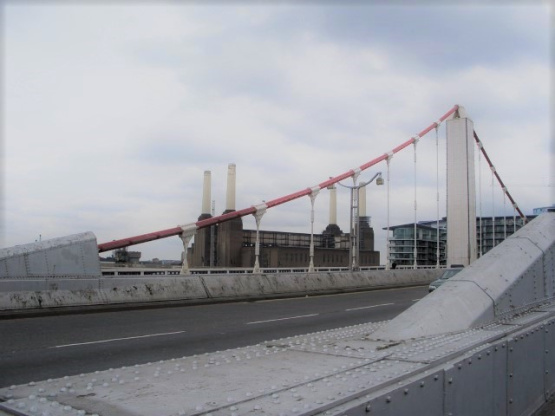 During commute hours, services will run from Battersea Power Station every 20 minutes, and every half hour on weekends. Deputy Chief Executive of Battersea Power Station Development Co. Simon Murphy, said: "The launch of the River Bus service marks a major milestone for Battersea Power Station, offering a new means of travel to local residents and connecting Battersea to the rest of London." As regeneration of the area around Battersea Power Station continues, it's an exciting time for this corner of south-west London. The extension of the River Bus service will boost Battersea's fortunes even more, enhancing its accessibility and appeal to visitors, shoppers and future residents alike. Chief Executive of MBNA Thames Clippers, Sean Collins, said: "Over 4 million passengers use our services every year and we expect Battersea Power Station to take travelling by river to a new level, helping prove that this is a popular destination in its own right and that it will become a must-do in London."